We’re grateful for the opportunity to live, work, and serve patients in Boulder County. As part of the North Boulder Dental Group philosophy, we strive to not only be involved in our local area, but even more important, provide dental philanthropy to the larger Boulder County community. This year we have continued to be active in bringing this part of our mission to life, providing over $35,000 worth of free dental services to some excellent, local organizations! 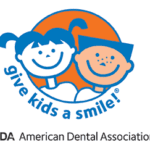 This national program is sponsored by the American Dental Association and provides underserved children with free oral health services. We’re big believers in the importance of dental care from a young age and how it can pave a path to lifelong wellness. In 2015, our practice was able to help directly several children in the Boulder Valley School District. By working with Give Kids a Smile, we were able to provide over $2200 worth of free dental care and help start these kids on the right road to good oral health! An important organization that serves the state’s residents, Colorado Mission of Mercy provides free dental services to people of all ages who cannot afford or don’t have access to quality dental care. Services are available in a large-scale clinic environment at special events held during the year. We were proud to be part of this year’s large clinic event held in August and serve many patients in need of dental services. The clinic, overall, serves thousands of people over a two-day period providing cleanings, fillings, temporary dental appliances, extractions, and more. North Boulder Dental Group continues to be a supporter of homeless services and shelters in Boulder County. In particular, our dentists actively participate and support clients of Boulder Shelter for the Homeless. Providing shelter, food, and support services with dignity, we have been proud to offer dental services during the year for this organization. As part of a national organization, Dental Lifeline Network Colorado is a volunteer network of dentists in Colorado, supported by a range of organizations, charitable trusts, and foundations. This year we have been able to join this network to provide free dental services for patients where other options simply don’t exist. It’s been a good year for our practice and made better by being able to give back to such a terrific community. We look forward to continuing our commitment to dental philanthropy for years to come!